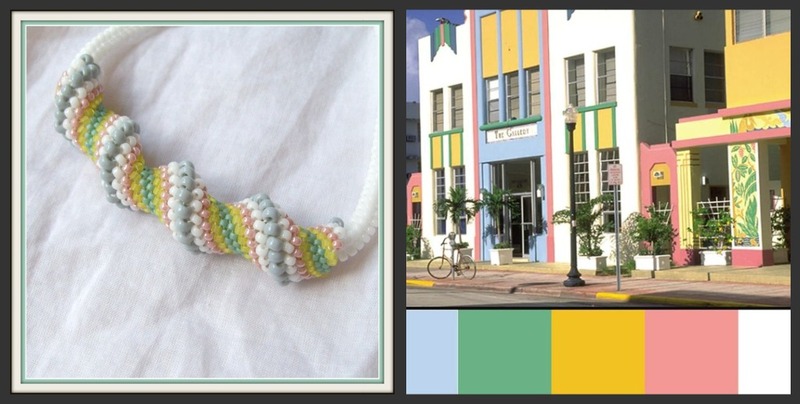 C is for color palette. I'm not gonna lie. When I see colors arranged in gorgeous palettes, it just makes me glad. 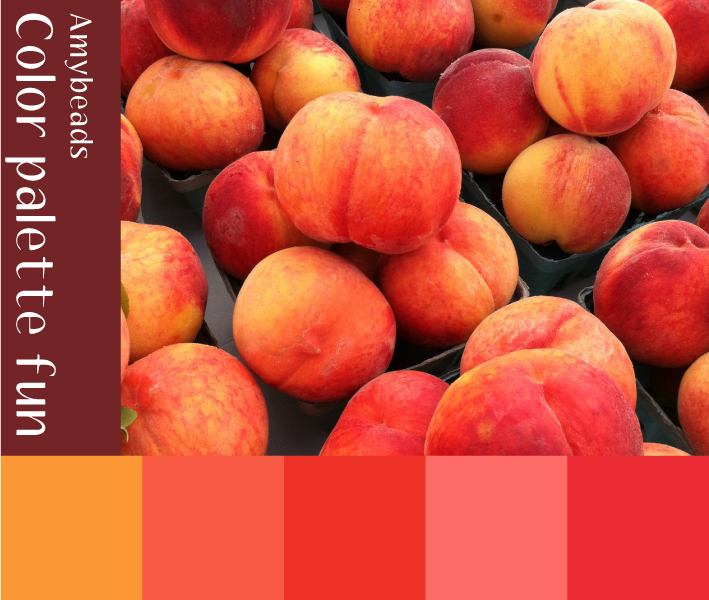 Search for color palette on a search engine and you'll be met with an array of delicious array of palettes usually covering the entire color wheel. Your web results will also take you to tons of sites that help you generate color palettes. One of my favorite types of color palettes though, come from beautiful scenes or pictures or paintings. A few years ago - La Bella Joya hosted a wonderful color challenge. Sometimes using Margie Deeb's palettes, or sometimes here own. What is the point of a color palette? Sometimes it is for a challenge. Sometimes to inspire. Sometimes to study color. Whatever the reason---I love them all! And recently I started doing a few of my own! If you haven't check it out yet - there is an impressive number of bloggers participating in the Blogging from A-Z Challenge! Beautiful, Amy! I can't pick a favorite image either. I lean towards the peaches, and then the boy in a field calls to me, and then I am transfixed by the colors and textures of the flowers. Cheering you on from A through Z! 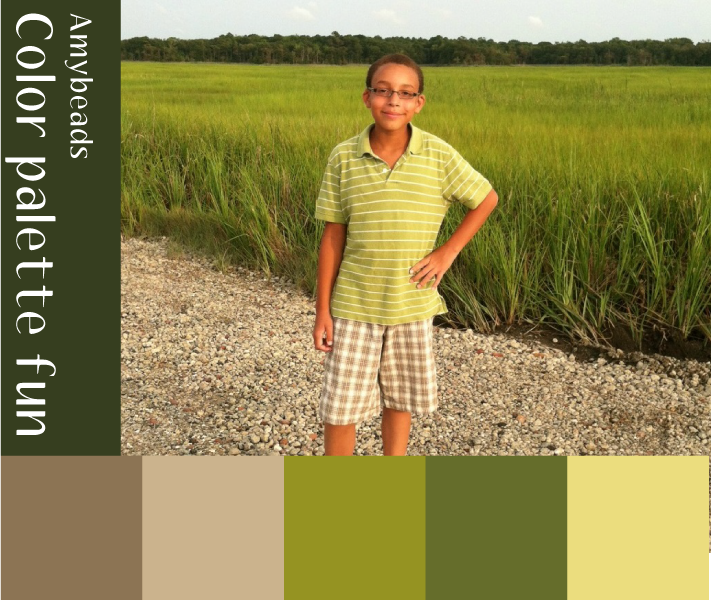 I love color palettes, too! I cut things out of magazines all the time. zi love your palettes. The peaches are gorgeous! I love how you do your palettes. I've always struggled with the colour combo thing, which is why i love colouring because it gives me a chance to use different markers/pencils/etc. If I like what I've done at the end of the page, I will use the same colours in my beading or embroidery. I am going through the A to Z list because I don't want to rewrite my "D" for tomorrow. Basically, I am stalling. I have never tried beading but have always been a fan of this unique craft. Your color palate is fun because like many others, I simply don't have the talent to put it together. While I can see what you do, I know that if I am to have success in choosing quilting fabrics, I will have to ride on someones coattails. Therefore, I am pinning your blog so I can have it forever. I do so love your sense of color!!! 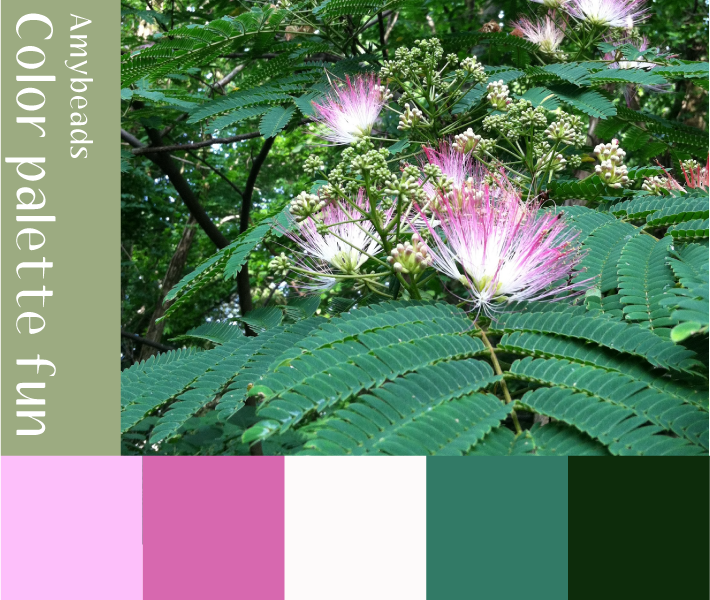 I love color palettes as for giving you a jumping off point when you get stuck in a rut. I loved participating in Marcie's Monthly color challenges they were fun. Your color palettes are beautiful. I love these palettes and how they are put together. I'd never think of some of these combinations. Thank you for sharing. Great idea, Amy...these are beautiful! What better way to be inspired than to draw from the beauty in everyday things around us?